As with most series that emerge from Valve, we have long since given up on a third entry in Left 4 Dead’s lineage. But, thankfully, many other developers have not. Vermintide 2 and Deep Rock Galactic have already demonstrated a willingness to bend the formula into new forms. 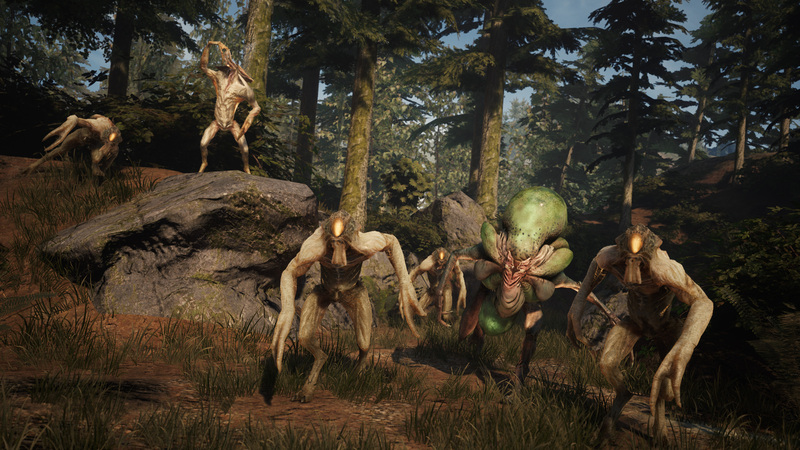 And now, Holospark – a Seattle-based studio founded by Activision, Bungie, and THQ alumni – are having a pop with Earthfall. If you are looking for a melee-focused horde game then check out Vermintide 2. 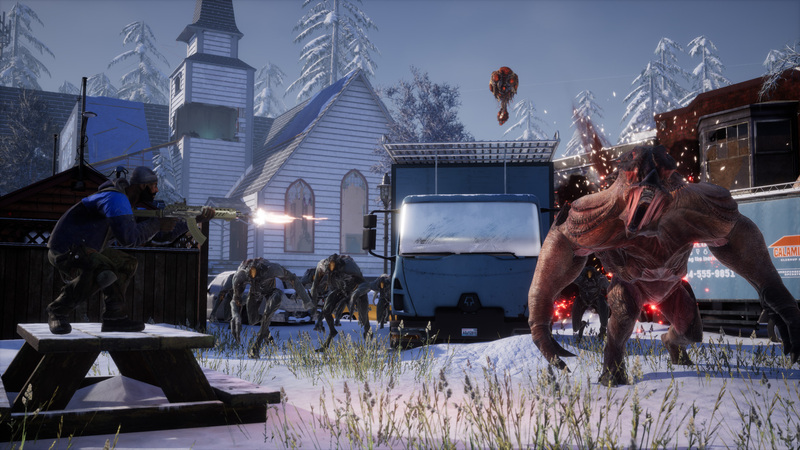 Given the information nestled away in that opening paragraph, you should not be surprised to learn that Earthfall is a four-player co-op shooter in which you battle waves of (this time, alien-shaped) threats. But, as well as deploying your own futuristic arsenal in place of diplomacy, you will also be able to turn the alien menace’s technology against them and fortify your position with useful kit such as barricades and turrets. Ahead of the game’s spring launch, we spoke to Holospark CEO Russell Williams about the game’s two co-op campaigns, dynamic enemy-spawning system, and the threat posed by the battle royale genre’s popularity. PCGN: What sets your game apart from L4D and Vermintide 2? Russell Williams: We’re focused on being a great shooter and not as much on melee combat. In the ten years since L4D came out, a lot has changed, from graphics engines to shooter mechanics, and we wanted to build a game that reflected that. We also have been building new weapons and defenses. Since we’re set in a few decades in the future, we can bring in new tech like 3D printers for weapons and buildable defenses. We also have a storyline that progresses through the missions, so you’ll learn more about the nature of the aliens and their motivations as you play. How does the dynamic enemy spawning manifest in-game – is it more of a procedural or curated experience? It’s a mixture between procedurally driven with a couple handcrafted moments. Each time you play a map it will provide a somewhat different experience, but there are some moments in each level where we really wanted the fans to experience something specific, whether that’s a boss fight, a swarm, or a reveal. There are a lot of moving parts to it, but in broad terms it’s a combination of a number of factors including player health, ammo count, and cooldown periods from big events which go into a probability table to determine what spawns and where. That gives replayability, in that you never really know what you’re going to run into next, but over time it somewhat matches your group’s capabilities so that it’s challenging without being overwhelming. Is the campaign’s story simply laid over the co-op shooting or is the relationship between the two deeper than that? The Earthfall story gives you context as to why you’re fighting, some interesting mysteries as to what the aliens are and why they’re here, and some sense of how humanity can fight back against the invasion. Earthfall is first and foremost an action game, so we tell the story mostly in the background through the environments you explore, lore objects you can find, and the dialogue. By overlaying the story in this way we can give players a rich experience without having to break the action. We have two campaigns, each that reveal more about the world in Earthfall. In a landscape currently besotted with the battle royale genre, what do you see as the appeal of a more intimate co-op shooter experience? Getting to team up with your friends and fighting the same enemies really resonates with us and gamers. We love the battle royale games, but it’s nice to join together with your friends online and be the hero sometimes instead of playing where everyone is out to get you. Do you have any concerns regarding finding an audience amid the battle royale scramble? We feel that the co-op genre is underserved, and even with some of the recent entries to the genre, there’s nothing that really scratches that L4D itch. Battle royale is great, but like most gamers we play a mixture of stuff and need something different to keep other things interesting. 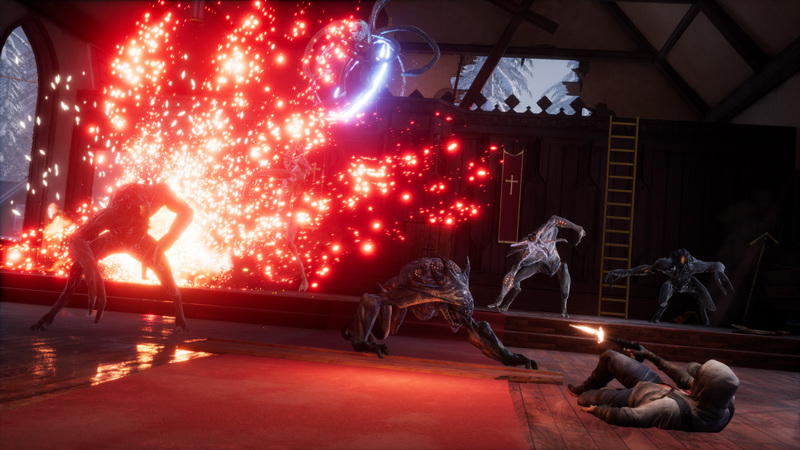 We feel that Earthfall can scratch that co-op itch or be a palette cleanser from time to time. Because really there is nothing better than getting together with your buddies and mowing down a ton of aliens. Why did you guys set out from your respective triple-A employers to form Holospark? At a small company, you get to be more hands on and have more of an effect on the game. It also lets us focus more on the game itself rather than the business strategy. What is Holospark’s overall vision? We just want to make great games that people enjoy and have fun with. Nothing’s more fun than being at a show like PAX or Gamescom and seeing people having fun while they play Earthfall. What are you hopes for Earthfall’s future? Our first priority is finish development and move out of Early Access this spring, while also releasing Earthfall to Xbox One and PlayStation 4. We have lots of stories and ideas for the Earthfall universe and we feel we have built a solid foundation to build upon what we already have in the planning stages. 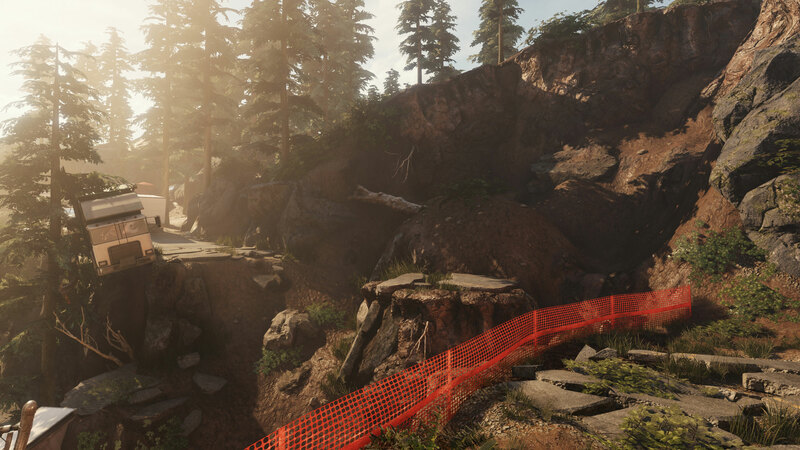 What we are really excited about is hearing what our community thinks and having their feedback help guide us in where Earthfall goes next.